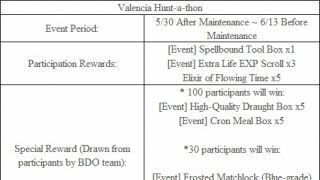 This week we have some exciting changes to make your Black Desert experience a little bit more fun! First we are introducing the Tag system which will allow some flexibility if you want to swap to one of your other characters while you are out adventuring. There are some exceptions so make sure you read the full notes on this feature. There are many more changes and fixes in this patch, read on to get the full details! ◈ Black Spirit's Adventure 1 has ended. ◈ Character tag system has been added. • You need to have at least one character in your Family at Lv. 56 or up to use the character tagging system. • If you left-click the button, the Character’s Tag Setting window will become activated. If you right-click, you will switch characters. • You can only tag or un-tag characters in towns (excluding Kusha, Abun, and Muiquun). -To link two Characters for the Tag function, both characters must be in the same town. • You can switch from your tagged character to your primary character anywhere. However, you cannot switch characters in the desert or great ocean. • You cannot switch characters during Node/Conquest War. • After switching characters via tagging, there will be a cooldown of 5 minutes. However, you can still change characters via the Character Selection window. • Character tagging shares the same cooldown as Emergency Escape and applies to both the primary character and the tagged character. There is also a five minute cooldown for character tagging after changing characters or servers. • You cannot buy or sell trade items with a tagged character. 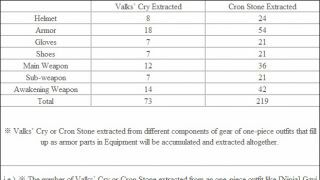 That character also cannot move trade items to or from mount inventories or a storage. ◈ You can now attack monsters in safe zones even when a World Boss has appeared. ◈ You can now use the Battle Arena even when a World Boss has appeared. • Thank you adventurers! Our developer PearlAbyss has been listening to the feedback of the global crowd and decided to open Global Lab to help provide better service where new contents will be tested before being released to live clients. 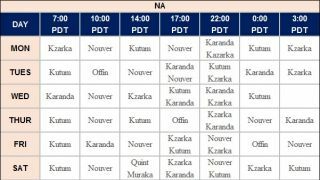 • Please keep in mind that this Global Lab testing service is not available to all regions that service Black Desert Online due to temporary difficulties (including GDPR for EU players), and currently the service will kick off for NA players. PearlAbyss is currently seeking to support EU players in the future. • Global Lab testing will open at 06:00 UTC/ 23:00 PDT (7/11th) / 02:00 EDT and more content and details will be announced via the official Global Lab Testing website (Link available tomorrow with launch). ◈ The issue intermittently occurring among Windows 7 users where certain UI windows (Black Spirit’s Adventure, Beauty Album, Saying of the Day from the Guild window, etc.) were not displaying properly is being addressed and tackled upon. We have made a few improvements but a complete fix has not set in stone. Please allow us a little bit more patience until we resolve the issue entirely. ◈ Fixed the issue where the action of inflicting damage was not being displayed properly from the other adventurers’ perspective when attacking in PvP mode. 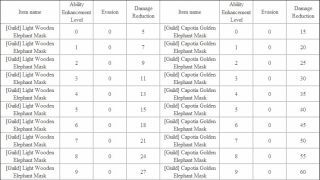 ◈ Fixed the issue where the skill effects of other adventurers intermittently were not applied. ◈ The animation for the Boss Vision Range button has been changed. • There will only be an animated effect on the button when you have pressed the button to activate Boss Vision Range. ◈ Fixed the intermittent issue where ‘Boss Vision Range’ button would not disappear. ◈ The camera distance for the Boss Vision Range function will now adjust depending on the World Boss. ◈ The icons for “Collect,” “Check In,” and “Remote Collection” at the Wharf has been changed to be suitable for a wharf. ◈ Fixed the issue where outfits would blink when using DirectX 9. ◈ Fixed the issue where the Boss Vision Range button would intermittently not disappear. ◈ Fixed the issue where the baby whale in the sea at Terrmian Beach was intermittently floating in midair. ◈ Some of the locations where wild horses appear at the Sausan Garrison have been moved. ◈ Fixed the issue where the whale in the Terrmian Sea moved abnormally. • The whale will now move naturally in a fixed area. ◈ To allow you more freedom in choosing the frigate gear best suited to your personal tastes, new frigate gears have been added. Additionally, the specs for existing frigate gear items have been improved. 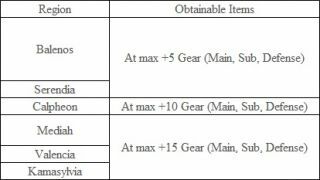 ◈ The AP (for Zafina Cannon) and equip effects of the following frigate gear have been improved. ◈ The starting speeds for Epheria Sailboat, Epheria Frigate, Galley, and Old Bartali Sailboat have been increased by 45%. Their movement speeds have been increased up to 5%. ◈ The movement speed for the skill BreezySail has been increased up to 10% for Epheria Sailboat, Epheria Frigate, and Galley. The movement speed for the skill PowerAccel. has been increased by 3%. However, the max movement speed for PowerAccel. has not been changed. ◈ To make Epheria Sailboat, Epheria Frigate, Galley, and Old Bartali Sailboat easier to control, the speeds for starting, stopping, and restarting the boats have been increased. ◈ The camera effects for Epheria Sailboat, Epheria Frigate, Galley, and Old Bartali Sailboat have been made more natural. ◈ The camera effects when using the skills BreezySail and PowerAccel. with a Epheria Sailboat, Epheria Frigate, and Galley have been made more natural. ◈ Fixed the issue where Dragon Scale Horse Gear appeared unnaturally when riding a horse equipped with the gear. ◈ Fixed the issue where the effect of the damage being inflicted for certain skills was not being displayed under the perspective of both the one being attacked/observer. 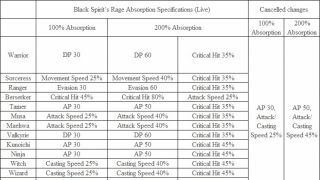 ◈ Fixed the issue where damage was not applied when crouching and using Black Spirit's Rage to attack with a Matchlock intended for quests. ◈ Fixed the issue where a button without an icon could be selected in the Standby Expression UI in the character customization windows. ◈ Fixed the issue where you could not see other adventurers acting as if they were attacked when they were attacked with certain skills. ◈ Fixed the issue where effects would come out differently depending on which direction you performed the skill Blasting Gust in a combo after Ultimate: Evasive Shot. 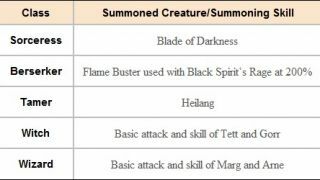 ◈ The attack range for the regular shooting attack for the skill Flame Buster have been increased to be the same as the attack range for the charged attack. ◈ Fixed the issue where eyebrows would appear through an Atanis Helmet. ◈ You can now change to non-combat stance while walking backwards in Longsword combat stance by pressing the TAB key. ◈ Fixed the awkward graphics of Detonative Flow when the Graphics setting was set to “Low,” or lower. ◈ Fixed the graphical issue that appeared on the right shoulder under certain customization settings when the cape of the Pila Fe outfit was hidden. ◈ Fixed the graphical issue on the back of the neck that occurred when wearing Queen Heart Underwear. ◈ The Arrow Grapple skills have been reworked. • Arrow Grapple skills give an extra hit to an opponent within a certain distance after a successful Stub Arrow hit. • They also allow you to get closer to the opponent to attack. The motions for these skills have been made faster and more energetic. 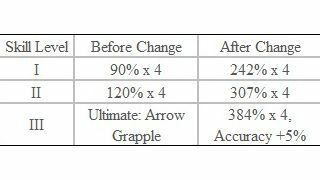 • To reflect these changes, Ultimate: Arrow Grapple has been changed to Arrow Grapple III. ◈ Fixed the graphical issue that occurred when wearing Martillo Swimsuit. ◈ Fixed the graphical issue that occurred when wearing Gorca Swimsuit. •They also allow you to get closer to the opponent to attack. The motions for these skills have been made faster and more energetic. ◈ Fixed the issue where the effects for the skill Fatal Blow were only visible once (instead of twice) to the victim. 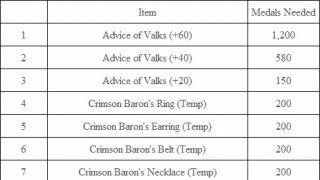 ◈ Fixed the issue where the cooldown for the skill Awakening: Crimson Sah Chakram was not applied when jumping in Shortsword combat stance and then changing to Sah Chakram combat stance. ◈ Fixed the issue where damage was not being inflicted in PvE while using the skill Dragon’s Pit. 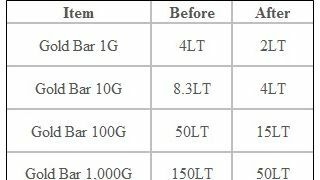 ◈ Weight description has been added to the item descriptions for Wagon Registration items. 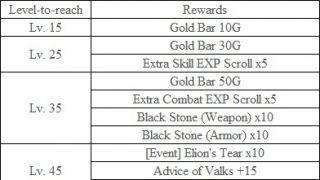 ◈ The following Kamasylvia region awakened boss scrolls have been added. 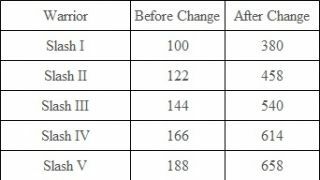 ◈ You can see the detailed stats for Swimming Speed increase in the Equipment widow, under View Set Effect. ◈ The text concerning the sale prices of the following non-saleable items has been removed. 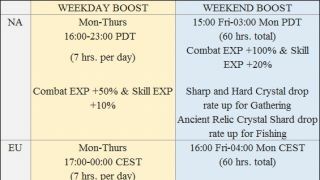 ◈ Classic Boxes below (containing weapon and outfits) that lasted 7 days has now been extended to last 15 days. 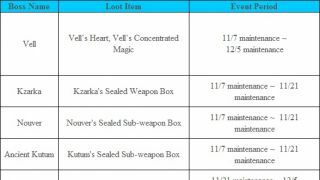 -All the Classic Boxes (unopened) listed above in your Inventory, even the ones before today’s maintenance, has been changed to last 15 days. -This does not apply to any opened Classic Boxes before the maintenance. Please keep in mind once the expiration is met, the item will no longer be available for use. ◈ The attack and sound effects that occur when fighting an Ancient Puturum summoned from an Ancient Puturum Summon Scroll have been reworked. ◈ Fixed the issue where the summoned awakened Ronin would intermittently disappear when returning to its original spot after having moved too far away. ◈ When the Voraro monsters that appear when you summon Narc Brishka (with a Manshaum Narc’s Stone or Awakened Manshaum Chief Summon Scroll) pop up to attack, the first hit will cause Knockdown but further hits will not cause CC status effects. ◈ The hit number for the rising spike attack for the Field Boss Giant Mudster has been reduced by approximately 60% and the skill’s damage has been increased by approximately 50%. ◈ The following monster has been newly added to the Bashim Base in Valencia. ◈ Rare (Violent,Critical,Sturdy, etc.) 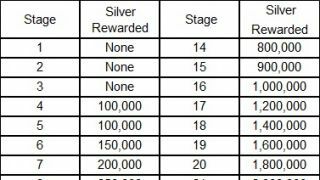 monsters in Balenos, Serendia, or Calpheon will now drop Prognyl Silver Bar. 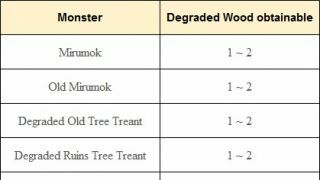 ◈ Rare monsters have been added to the following regions. 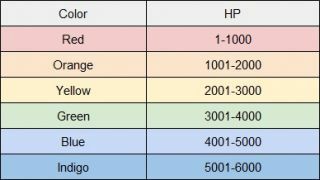 • Rare monsters have the title “	<Violent	>” and have higher HP and AP than other regular monsters in the area. Therefore, caution is recommended. These kind of monsters are marked with a star symbol on the minimap. ◈ Fixed the issue where multiple rewards were given intermittently when defeating World Boss Mirumok Destroyer Offin. ◈ New quests have been added to the Kamasylvia region. • You can accept the quests from NPC Neubella at the Central Lemoria Camp if you are at least Lv.58 and have completed part 2 of the main Kamasylvia quests. They are available only once per Family. -What is the Rare Rescued Animal? 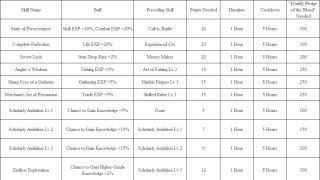 ◈ Knowledge for Baby Malofinus has been added under the Kamasylvia Entrance Adventure Journal II knowledge category. ◈ A recurring quest has been added. You can accept the quest from NPC Captain Moguly at the Terrmian Waterpark. ◈ You will no longer be teleported to Terrmian Beach if you use the wrong iron ore during the quest [Event] The Cutting Method. ◈ When you defeat the following awakened bosses, you will now get Knowledge at a certain rate. ◈ Fixed the issue where Knowledge for completing the quest Hunting in the Forest of Seclusion could not be obtained. • The Knowledge can be obtained by giving Caged Owl to Hessenvale of Western Guard Camp. ◈ Fixed the issue where hotkeys were triggered when trying to search in BDO Wiki. ◈ Log-related functions have been removed from the Conquest window and a refresh button has been added. ◈ Fixed the issue where the numbers on the bars for the Territory Resource Information World Map Filter disappeared when you closed and opened the World Map again. ◈ Fixed the issue where the text explaining the Savage Rift Status window was coming out of the UI window. ◈ Fixed the issue where text would overlap in the Stable UI. ◈ Fixed the issue where the some trade item names in the Sell Trade Item UI were too long and would overlap with the market price. 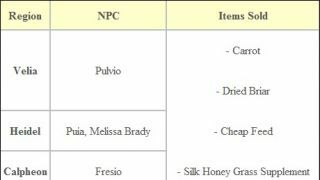 • Trade item names will now be confined to one line each on the Sell Trade Item UI. To accommodate this change, mouseover tooltips for names that are too long have been added. ◈ Fixed the issue where Wooden Fence would be wrongfully displayed as Single Combat Barrier when putting your mouse over for the information about Fort/Command Post/Field HQ in the World Map (M). 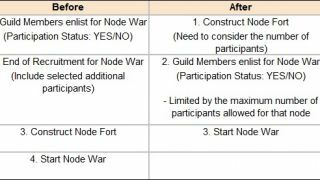 ◈ Fixed the issue where Node War would end abnormally. ◈ Fixed the issue where a part of Cox Prison appeared abnormal in appearance. ◈ Fixed the issue where you would intermittently fall through the ground when trying to move to a location that is still loading. ◈ Fixed the issue where the whale in the quest [Event] Looking After the Whale would appear duplicated if given too much feed even after full growth. 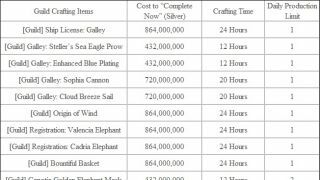 ◈ Fixed the issue occurred intermittently where Silver took up 2 inventory slots in Guild Storage. 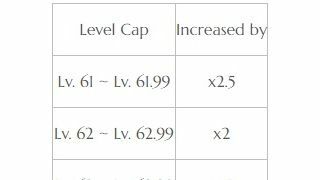 ◈ We are aware of the fact that changing World Vision Range for the world boss Quint extends the view too greatly. This will be fixed shortly. ◈ We are aware of the fact that changing World Vision Range button for the world boss Muraka is not showing up. This will be fixed shortly.